Although a boutique winery, Shadowbrook is a leader in the industry featuring state-of-the-art equipment and technology rarely found anywhere in the U.S. The fermenting tanks imported from Italy feature remotely operated “punch down” capability, a practice once laboriously done by hand. 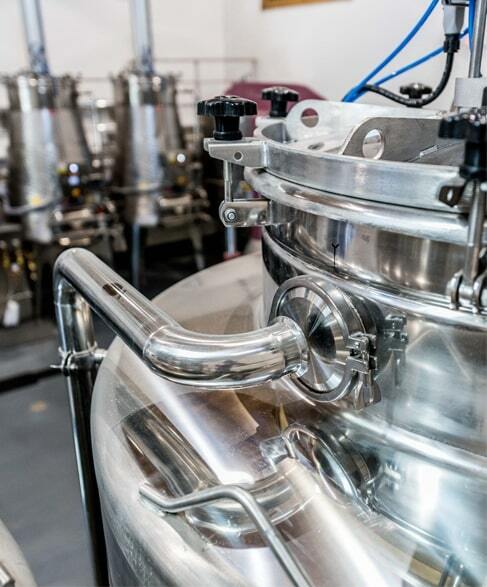 This allows the winemakers to control the fermentation process automatically, on the wine’s time. The optical sorter – only one of 17 in the United States – can separate stems, other debris – even unwanted fruit – from the perfectly ripened grapes. This truly amazing machine, which needs to be seen to be believed, speeds production and provides incredible precision when it comes to selecting only the finest grapes for making wine. Even the barrel racks are outfitted with rollers, allowing the winemakers to spin the barrels – a technique called “Aging Sorrells” – as the wine ages to ensure the wine develops to its thick and rich complexity. The center piece of the all-new tasting room is a large, traditional, “”U shaped” bar that can accommodate several tastings at once yet still bring people together under the soaring vaulted ceiling and contemporary 12 post chandelier. 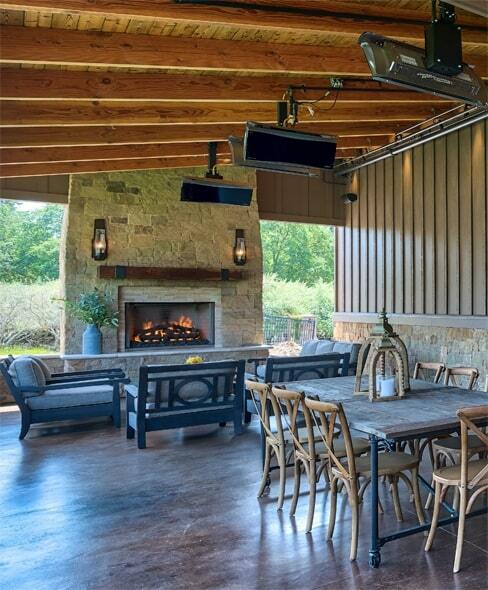 The floor to ceiling windows provide abundant natural light and the Vineyards and Mt. Diablo as a majestic backdrop. 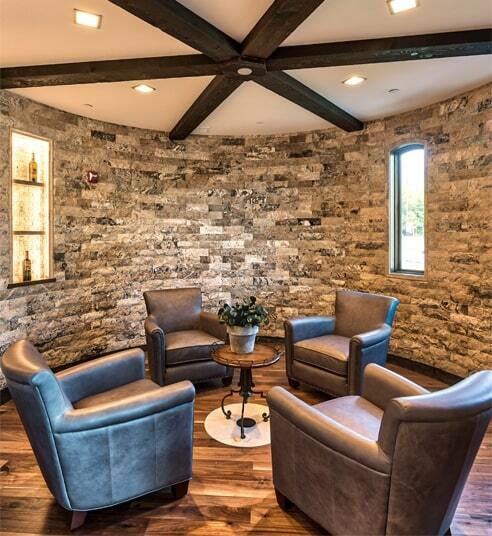 The fireside sitting areas and the Library Rotunda offer a quiet escape. The Verandah, with its fireplace and fireside sitting areas is casual and comfortable in its rustic elegance, is perfect for outdoor enjoyment even when there is a chill in the air. The Mine Room, complete with barrels, chiseled walls, ore car, and authentic gas lamps, harkens back to a bygone era and is perfect for large gatherings at a single table. The Laboratory offers views of the inner workings of the winery itself and a sophisticated, contemporary, ambiance to taste the wines and converse about the finer nuances of the winemaking process. Framing Mt. Diablo through its double doors, The Diablo Room is perfect for smaller gatherings or a chance to discuss the business of the day. And just outside, The Observation Deck offers commanding views of Mt. Diablo and the vineyards below. The perfect spot to soak it all in. Bring your sweater when you visit the Barrel Room where Shadowbrook wines are aged in 100% Oak Barrels and listen carefully for the Monks who sing to the wine on a daily basis, to ensure the wine ages gracefully.